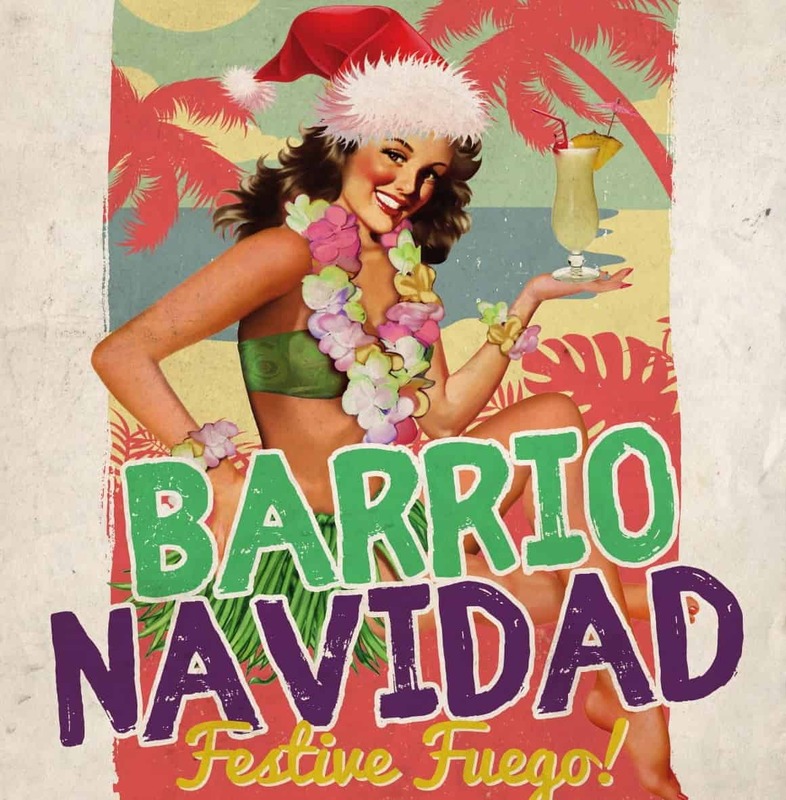 SWAP THE STRESS OF SHOPPING AND COLD WINTER MONTHS FOR COLOURS, FUN & SUNSHINE AND LET BARRIO FELIZ YOUR NAVIDAD! WITH FOUR COSY CHRISTMASSY BARRIO CASAS, WE HAVE A WARM WELCOME WAITING FOR YOU NO MATTER YOUR GROUP SIZE. IT’S NEVER TOO EARLY TO PLAN YOUR NEXT XMAS PARTY, SO WHY NOT CONTACT OUR FESTIVE FAIRIES TODAY? CALL 020 7749 3940 OR EMAIL events@barriobars.com.